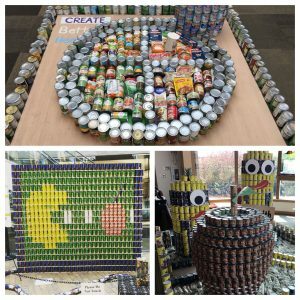 This year’s “Foodstruction” was a huge hit, and we can’t thank Salt Lake County Health Department enough for organizing it! 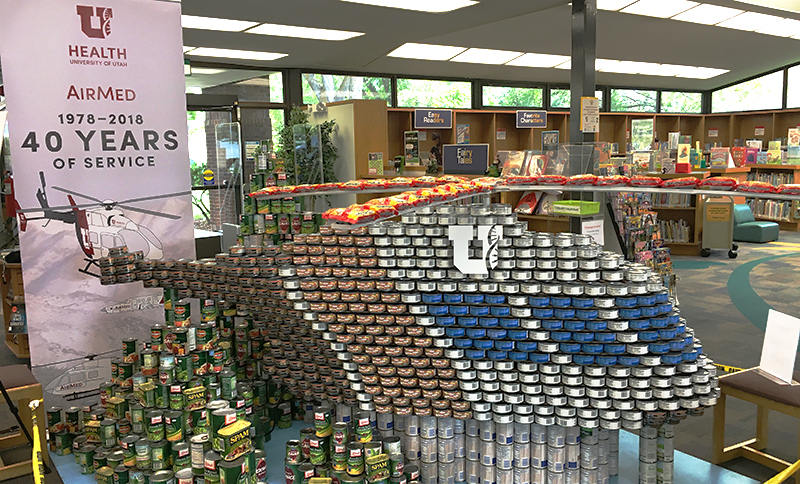 If you are wondering what “Foodstruction” means, it’s essentially constructing sculptures out of food, and these amazing works of art were on display at several local library locations earlier this month. As an added bonus, the groups who participated not only donated all this food to us, but healthy food items were the primary focus! Here’s a list of the participating donors/builders and what their structures were! Thank you to everyone who donated their time, talents and food for this fun community event! 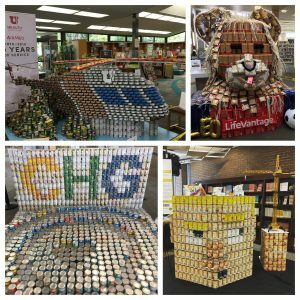 After all these works of art were dismantled and brought to our building (along with donations from the public who attended), it will turn into the equivalent of over 13,000 meals for Utahns facing hunger!